I'd like to take this occasion, as I just finally created a DW account after all those "years" following Scans-daily (from one place to another), that I do some parody webcomics at some various places. Nothing great, just silly drawings I do for fun in my spare time. 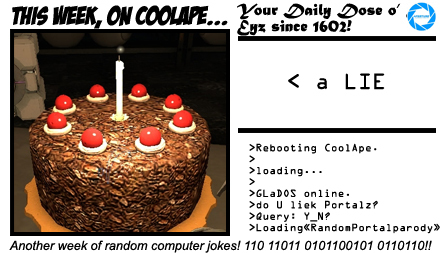 First I do weekly parodies on CoolApe.org. Mostly videogame/movie parodies (and some eventual comic book ones too). One for every random thing I wanna talk about, do reviews, etc..
And the other one for my on-going DC and Marvel comic parodies, or as I call them, "Heroes!" You can comment with your blogspot/google/yahoo account or anonymously!